The Ideal Home show will boast the first ever public display of a 200Mbps broadband service in the UK, with Virgin Media using the event to showcase the next step in its fibre optic network. 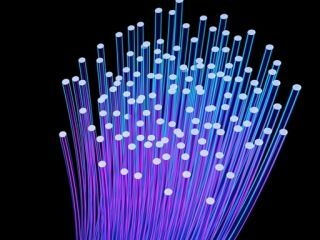 Virgin Media has already established itself at the cutting edge of Britain's move to superfast broadband, utilising its fibre optic network to offer the current top-line 50Mbps, with a 100Mbps service due to arrive soon. But the Ideal Home Show, starting at the weekend, will get a glimpse at what 'ultrafast' 200Mbps broadband, four times the fastest available in the UK at the moment, with Virgin Media connecting Earl's Court to its network to display the technology to show off its forthcoming service. Ashley Stockwell, Executive Director, Brand and Marketing at Virgin Media said, "Ultrafast broadband like our 200Mb service, will enable a whole household to enjoy cutting edge entertainment, not just via computers, but through an array of gadgets all over the home. "By pushing the boundaries of broadband in the UK we hope to drive a change in the way Brits enjoy and experience digital entertainment and exciting new services." Interestingly, Virgin Media will also be showing off 3D technology at the Ideal Home show – presumably to remind people that Sky are not the only company pushing next generation television – and start to reveal a few more details of its next generation TiVo toting boxes. "The Ideal Home of the Future presentation will also give a taster of the types of exciting new services Virgin Media is planning to offer, including its next generation TV service using TiVo, as well as the option to move content from TV screens, to computer screens and even to mobile phones."